Adding sleek and contemporary window blinds into your decor is a great way to create an uncluttered finish to your look. I love blinds, have always loved them, and the less fussy the better. I was looking at the Made to measure blinds from Thomas Sanderson recently as we’re looking for a new blind for our very small bathroom window. Yes the makeover is still underway and no, we haven’t finished it yet! However I’m still window shopping, and the hunt for a new blind has begun. The range at Thomas Sanderson seems really modern, and very chic so well worth a look. I picked out some of their great styles to illustrate how you can make your windows look contemporary and neat. If you’ve been hunting around and wondering where to find wooden venetian blinds this could be your place. 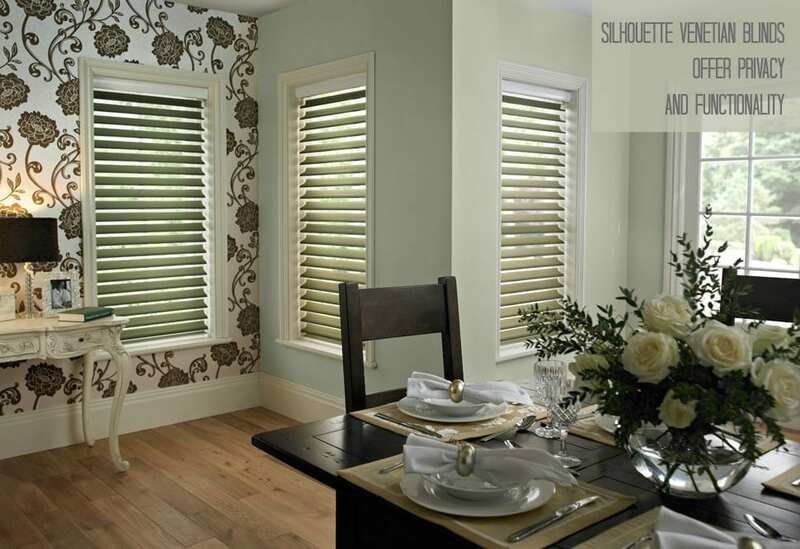 Venetian blinds have come a long way in the last few years, and now come in different widths, shades and styles. Long gone are the days of the simple metal venetian blind that I remember washing down in the garden once in a while for my Mum, on cleaning day. 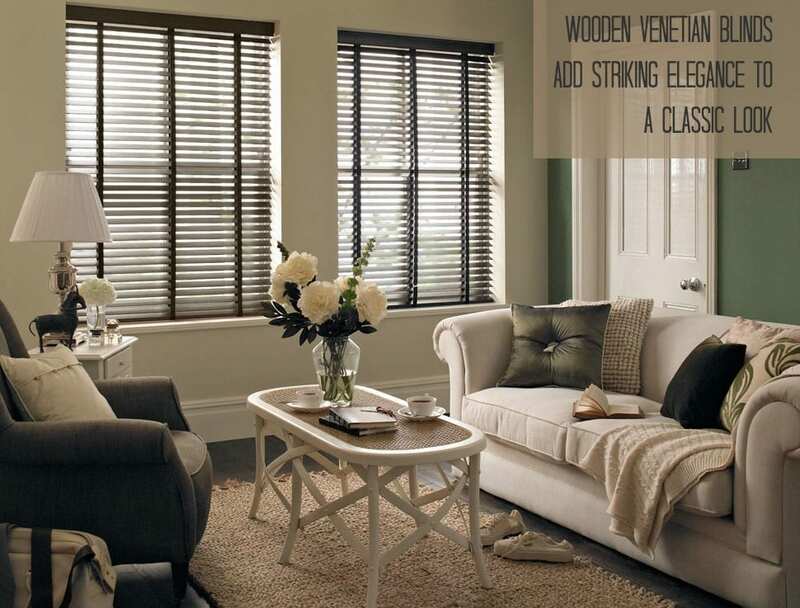 Wooden venetian blinds are stylish and contemporary and very easy to clean. The images above show how, if you choose the right colour, they can make as much of a statement in your decor, as patterned curtains can. Create a contrast in your colour scheme, and opt for striking venetian blinds in bold colours. Ok, so not strictly blinds but very much in the same family. As you can see from the image above, they are a very clever way to dress a bay window, which can be a very difficult element to get right. 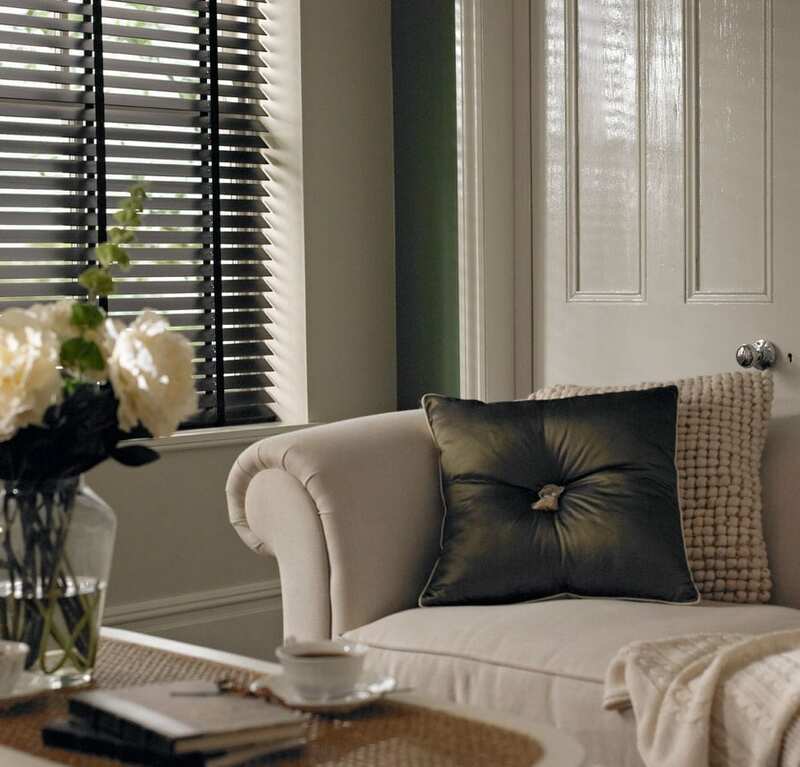 Neat, fuss free and very on trend, window shutters aren’t cheap but they will last for years and look incredible. I’m secretly hoping for some like this next time we redecorate our main bedroom. Again, shutters have come a long way in the last few year and are now available in lots of styles and finishes. Ideal for the contemporary home. 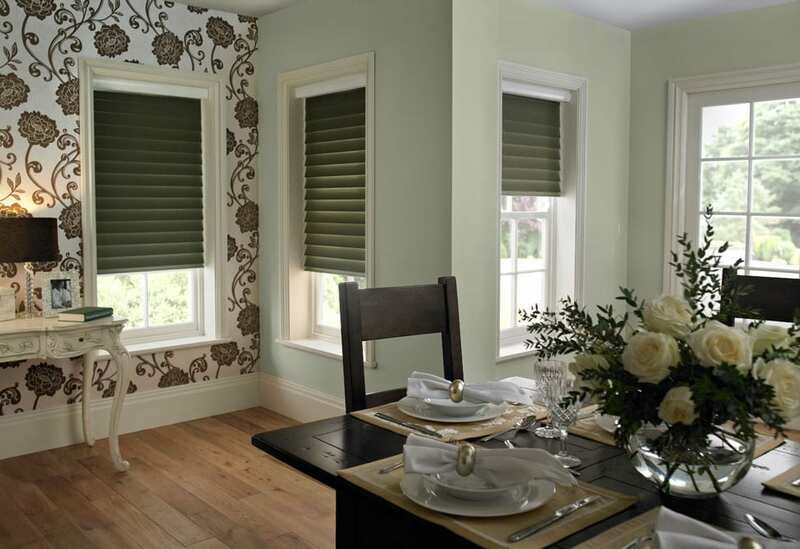 I love the look of these stunning venetian blinds which come in their own concealed casing. Sheer so they let in light, but discreet so they give the required amount of privacy, these made to measure blinds are a wonderful contemporary way to dress your windows. They work in the same way as usual venetian blinds and fit your window perfectly. If you need plenty of light in the room, but still need to block the view, these blinds are the perfect solution. Do you like this selection? Do you like to use contemporary window blinds in your home? We’ve got wood effect venetians in both our kitchen and bathroom now and I love their simple style and unfussy appearance, also the way you can select the amount of privacy or light by tilting them. They’re also a much cheaper option than shutters, which are lovely, but very expensive! These are some really nice looking contemporary blinds. Especially those Venetian Silhouette blinds, they look absolutely amazing, and allow in enough light but don’t sacrifice privacy. Thanks so much for writing! Contemporary window blinds they are one of my favourite looks when I dress a window. But I am a sucker for wooden window shutters they just are the cherry on the top when it comes to a window treatment, thank you for your post your choice of images a truly amazing. 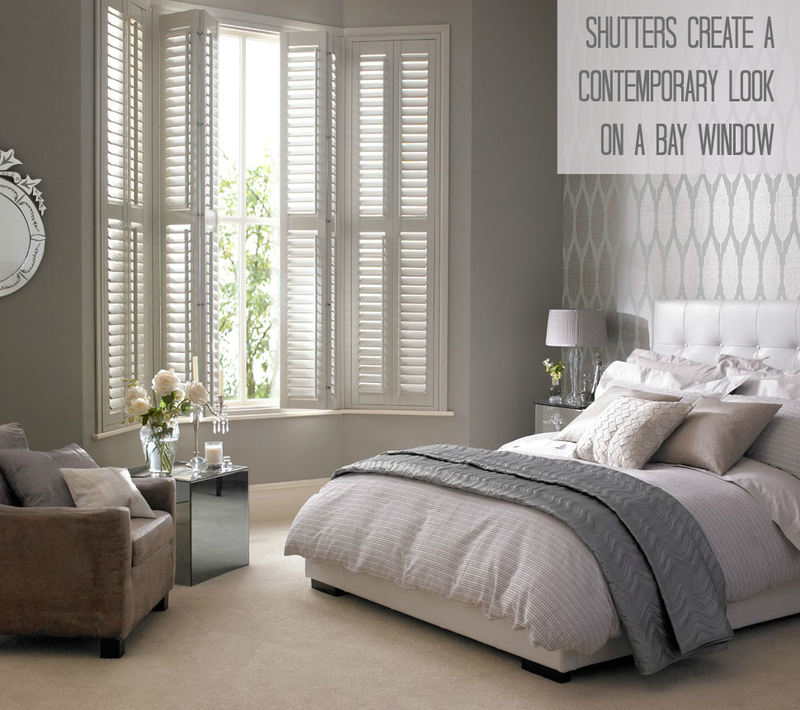 Thank you for sharing these beautiful shutter ideas. I really like the ones covering the Victorian bay window. We just moved into a house with a bay window and shutters like that would look amazing on it. Thanks for sharing all these great ideas!Keep sharing your ideas with us. Have a nice day ahead! !